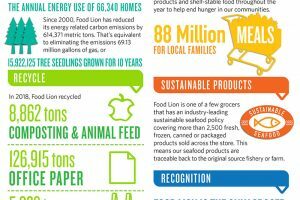 Every day we read more and more about supermarkets that are embracing sustainability in their daily operations. We hear the terms reduce, reuse and recycle. We hear of plastic bags being eliminated and replaced with recyclable or reusable bags. We learn about reductions in food waste and improvements in earth-friendly packaging and supplies. Retailers that are answering the call to improve upon sustainability are not stopping at improvements in daily operations. They are asking for sustainability in store design, construction methods, and in the fixturing and interior finishes of their supermarket projects. And even in an industry that is continually burdened with downward pressure on project costs, a strong case exists for embracing sustainability as a tool for success. It would be fair to say that in the early days of the sustainability era, those of us tasked with building a store with sustainable practices were skeptical. It seemed that we were spending too much time and money achieving the “sustainable” goals of the project for there to ever be a payback. Our roots in the industry, like many of yours, taught us to focus on low first in project costs. We did not spend much time evaluating the benefits of building a store that cost less to operate. Our primary focus was keeping the initial cost of the store as low as possible. But efforts continued. Energy consumption became a clear target for improving sustainability. And as advances were made, it became clear that properly managed sustainable construction methods and equipment selection processes were creating stores that cost a lot less to operate. The ability to measure these savings is now more readily available. We can now define that investing wisely in sustainable construction methods and equipment selection is not just the right thing to do, it is also the right financial thing to do. In new construction projects and major remodels, the first area of focus turns to the shell of the building and the construction of the interior buildout. Project experts have worked with retailers to evaluate adding insulation beyond industry standards to reduce heating and cooling cost. Energy-efficient HVAC units with better controls provide lower utility costs and allow setbacks based on occupancy of the building rather than just the time of day. Energy-efficient lighting has become common. Lighting controls that include daylighting sensors, motion sensors, dimming and controls to operate the lights based on departmental schedules are readily available. Kitchen hoods now come with variable speed motors and photocell controls so less conditioned air is removed from the space when cooking levels are lower. All plumbing fixtures are now available with low flow rates to save on water consumption, and most of our bathrooms are now equipped standard with fixtures that include the famous “up for #1 – down for #2” labels. On the equipment side, professional equipment managers are evaluating the efficiency of any piece of equipment that has a motor, a fan, a light, a heater, a burner or that consumes water. Refrigeration manufacturers are achieving new efficiencies through technology and design of refrigeration systems. All refrigerated cases now generally come standard with LED lighting and energy-efficient fan motors. Frozen food anti-sweat heaters only run when needed rather than running all the time. 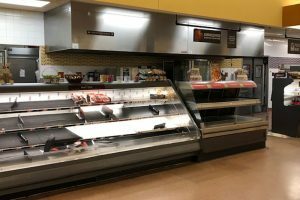 Store planners are laying out dairy and lunch meat departments with glass door merchandisers rather than open multi-decks to reduce energy and improve product quality. 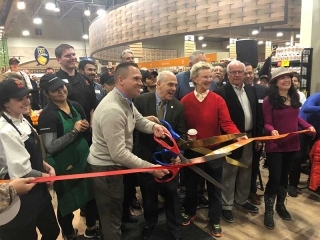 In every step of the process, new stores and remodels are now taking advantage of the benefits of sustainable practices. If you are feeling a bit left out because you are not ready for a new store or your current store is not quite ready for a major remodel, revise your thinking. The sustainable effort reaches past new construction and remodels. Consider updating your existing lighting to LED with controls to operate them efficiently based on customer traffic and store hours. Evaluate updating case lighting and install energy-efficient fan motors. If you have newer open (5) deck merchandisers that are not ready for replacement, consider retrofitting them with doors. For remaining open-front refrigerated merchandisers, consider night curtains to save energy if your store is not open 24 hours. If you have a need to add frozen food islands, consider new ones with sliding top doors. Don’t shy away from your refrigeration machine room or your HVAC equipment. Even older mechanical equipment can be updated to improve efficiency and save energy dollars. And as your prep equipment is being evaluated for replacement, choose a replacement that will not only improve departmental operations but that will save you money through improved energy efficiency. Reach out to your trusted store planning consultants and contractors as well as your utility provider for input. All these professionals can help you evaluate your existing store, provide suggestions on improvements, provide project costs and, perhaps most importantly, identify the savings that you will experience with your improvements. Steve Mehmert has spent his entire professional career working with independent grocery retailers across the U.S. He began his career at Wetterau in St. Louis, Missouri, with a transition to Roundy’s in Pewaukee, Wisconsin. 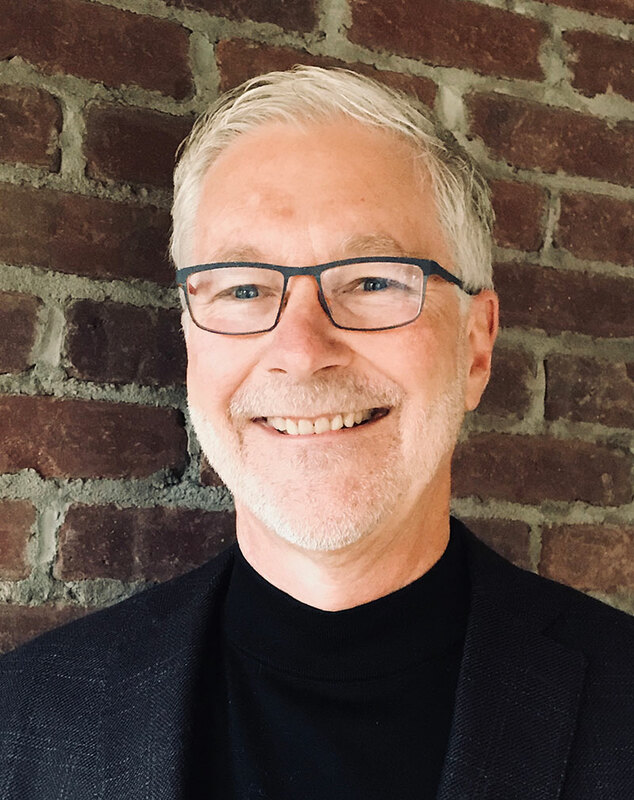 Mehmert and his wife Shelley founded Mehmert Store Services in 1990, through which they and their team focused on site planning, building design, store planning, interior design, equipment procurement, project management and construction supervision. Mehmert also regularly assists retailers in solving issues beyond the construction and fixturing of new stores and remodels. Over the past two years, Mehmert has moved his focus to the area of e-commerce delivery methods through his new company, T4 Solutions. 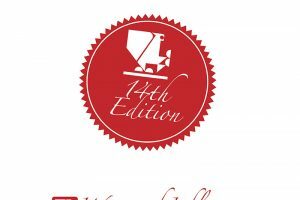 T4 will work on solving the dilemma of providing a great customer experience in the grocery delivery process while allowing the retailer to avoid losses that have become somewhat standard in the delivery side of the industry.